Phil Glenn, the former captain of the Shellback, is back in the charter business. 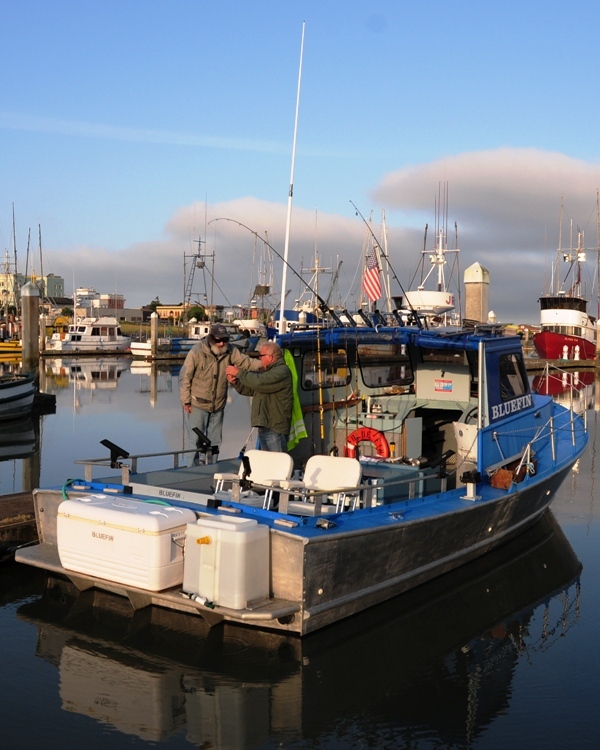 With his new boat, Bluefin, he is chasing sharks, rays, and California halibut inside Humboldt Bay. This is an easy, fun, and scenic trip for fishers old and young. The calm waters of the bay hold a variety of sharks, including cow sharks (six gill sharks), leopard sharks, and sand sharks (brown smooth hound shark). There are also bat rays and eagle rays. 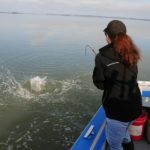 During some years, California halibut crowd into the channels of Humboldt Bay. 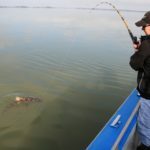 Phil’s charter taps into a relatively untouched segment of the North Coast’s diverse fishery that brings back memories for local anglers that grew up fishing on the bay. 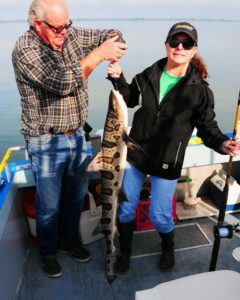 Although most of the fishing is catch and release, the leopard shark is good table fare and Phil says the smooth hounds are good too. The rays are a blast to battle but are more fun in the water than on your plate. Of course, halibut are great eating. There are a few California halibut around each year, but the big runs happen in cycles and are long overdue. There is not enough information about the life cycle of California halibut on the North Coast and their numbers are down throughout their range. Some years there is an abundance of fish and a few push 40 pounds. Maybe this will be the year. Most of this bay fishery is year round, barring stormy turbid conditions, and the halibut are a summer and fall thing. For me, fishing with Phil is a treat because of his knowledge and sea stories, both of which he shares with great enthusiasm. For $100 a half day this is a trip not to miss. You will get that much worth in scenery alone. You can reach Phil at celtic4@suddenlink.net or make reservations at 707-442-7115.